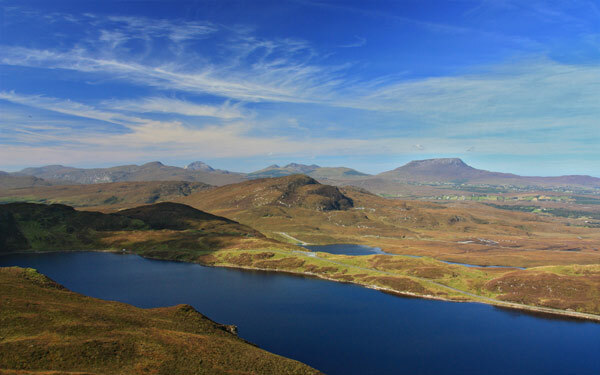 After returning from this summit we were assured by our hosts that it was the finest view in Donegal something strongly suggested by "slemish" in his recent comment. From a somewhat similar viewpoint to his or hers but a better day I got this picture. Isn't it amazing? From Muckish to the Derryveagh Slieve Snaght in one clear shot. Incidentally the summits of Inishowen such as the Urris Hills were also very visible.